A second source in Sirisena’s party said the president was looking for a “dignified exit” by withdrawing the dissolution order as the court was unlikely to rule in his favor. Foreign countries have yet to recognize the new government. The impasse has also pushed the island’s currency to record lows, caused turmoil on its stock and bond markets, and raised fears it may not be able to service debts to finance reconstruction following a 26-year civil war that ended in 2009. It is time to stop further No Confidence Motions against the u-constitutional SLPP Government set up by HE Pallewatte Gamralage Yapa Sirisena. There are more than 5 parliamentary Motions and the Dictatorial President is not responding. 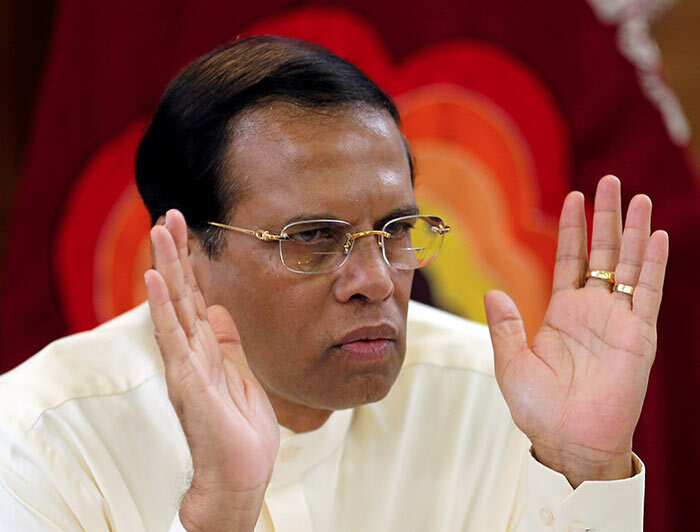 It is time for an IMPEACHMENT Motion against the Dictatorial HE Pallewatte Gamralage Yapa Sirisena. An adverse ruling from the highest court could be the basis to institute criminal proceedings against both Sirisena and the entire bureaucracy. The immunity of the president from prosecution applies only while he is in office and as set out by a Supreme Court ruling in 1999, anyone carrying out his illegal orders can be criminally prosecuted along with him.